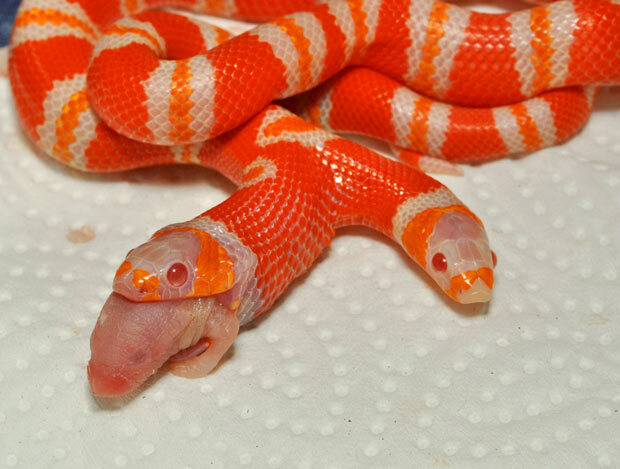 Most two-headed snakes have typical coloration. Albino snakes don’t have dark pigmentation in their skin. 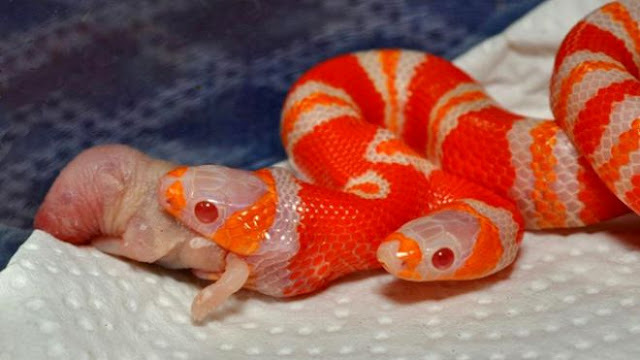 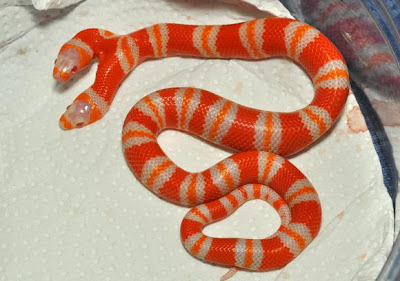 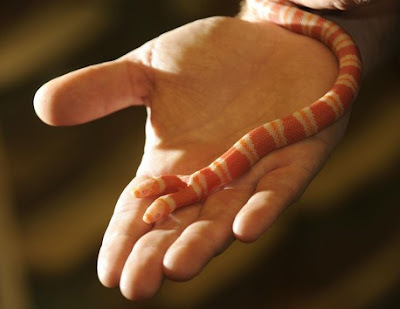 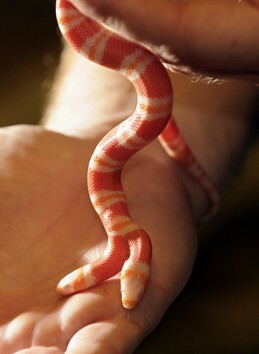 Albino milk snakes appear in bright shades of red, orange and white.